From I-80: Cross the Missouri River into Iowa. Once you have crossed the river into Iowa, take exit 1, the road will fork, stay left, then stay right until you hit South 24th St. Follow 24th Street to Richard Downing Ave (Ist Stoplight). Turn right (West) onto Downing Ave. The complex is 3 blocks up on your right. ​From I-80: Take Exit 449 or South 72nd Street towards La Vista and Ralston (South) go 3.3 miles.</b> Take a left (East) on Harrison and go straight about 1 mile. Take a right on 66th and parking is on left or right (main complex is on right). NOTE: You may also enter the complex by going 1 mile further on 72nd and taking a left on Giles. ​From the intersection of I-80 and Highway 75 in Omaha go west on I-80 for about 10 miles. You will then exit Highway 92 and go west. About 3 to 4 miles down 92 will be Millard Street which runs diagonally to the southwest off of 92. 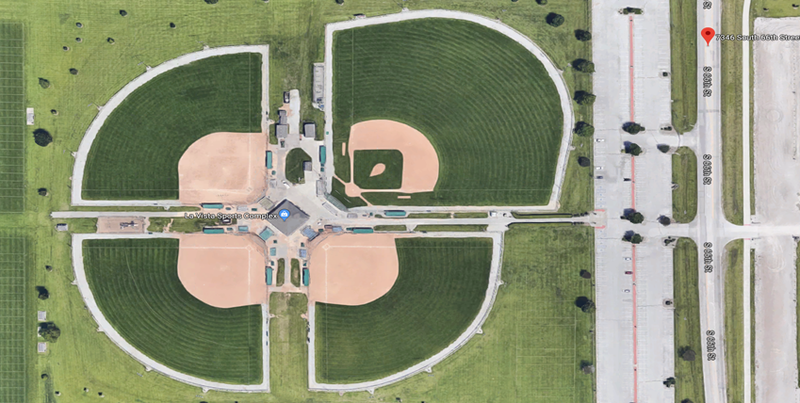 Take Millard over the train tracks and the park will be on your left. From I-80: Follow signs for Rosenblatt Stadium or College World Series. 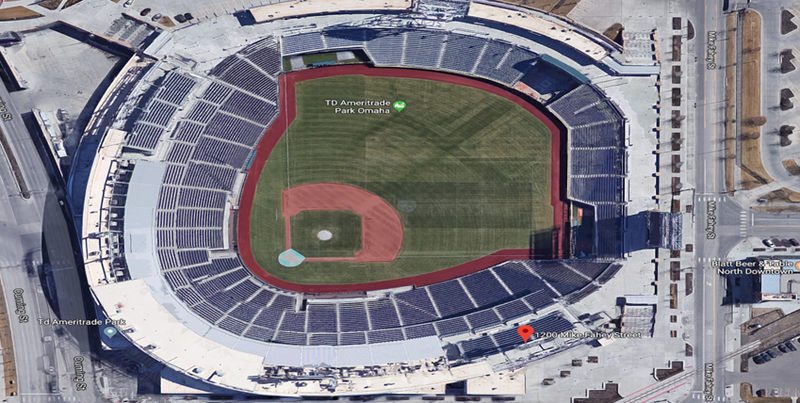 Take exit #452/EPPLEY AIRFIELD/DOWNTOWN/BELLEVUE/KENNEDY FRWY onto I-480 E toward EPPLEY AIRFIELD/DOWNTOWN - go 2.6mi. Take Left fork onto I-480 W toward DOWNTOWN - go 0.6mi. Continue on I-480 E - go 0.5 mi. Follow signs for CWS Parking. ​From I-80: Take Exit 448 to 84th St. Go NORTH on 84th and look for Grover St on the Right hand side of the street. Go East (Right) on Grover St. Take next right on 82nd St and follow under the I-80 Bridge. 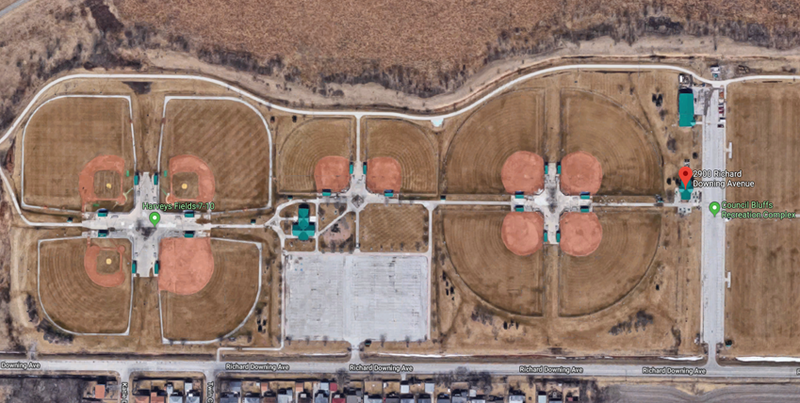 Fields on the right and parking on the right. 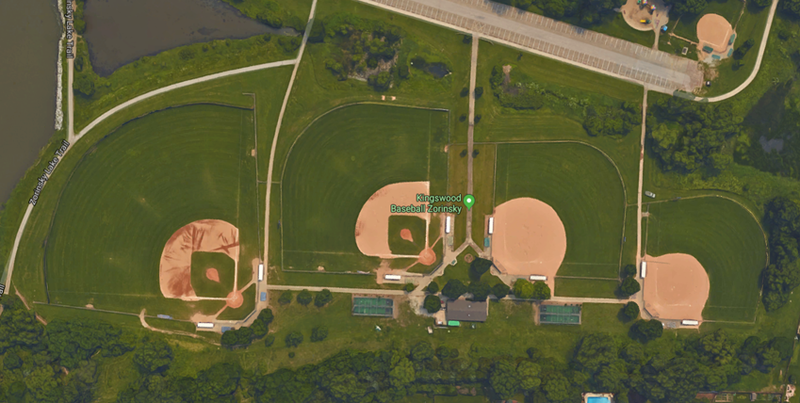 NOTE: The facility is on the South Side of I-80 but you must access the field from the North!